Monday, January 29, 1912: It is hard to study when you don’t feel like it. Don’t know what will become of myself if I don’t get aroused pretty soon. Perhaps Grandma made a snack while she was trying to motivate herself to study. Popcorn was a very popular winter snack a hundred years ago. A few weeks ago I made old-fashioned Caramel Popcorn. 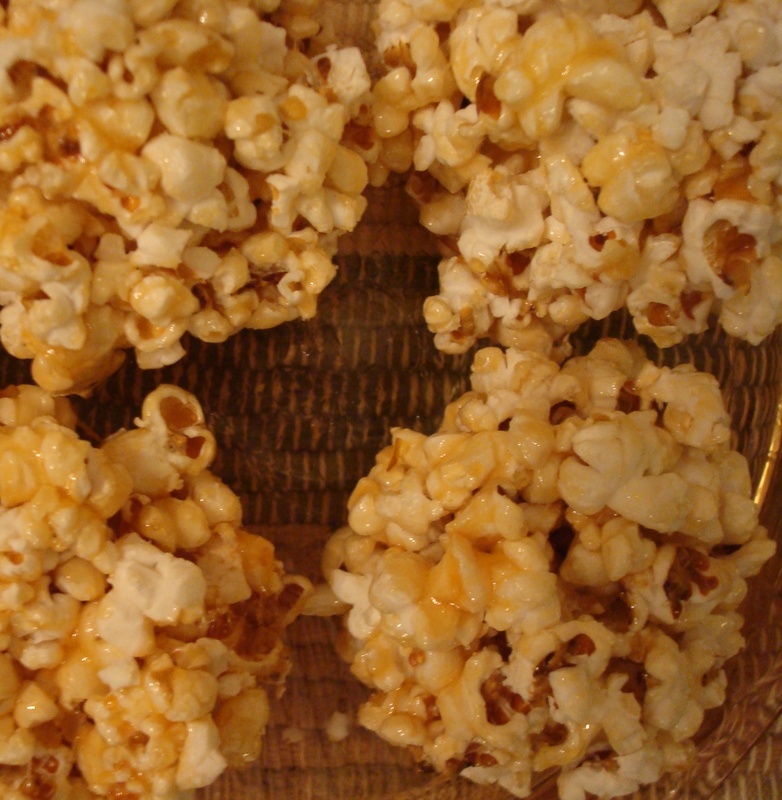 I enjoyed it so much, that I decided to make another old-time popcorn snack—Honey Popcorn Balls. Put popped corn in a large bowl and set aside. Cook honey, sugar, water, and butter to a medium-crack stage (280 degrees). Remove from heat and stir in salt; pour over the corn and stir with a spoon to coat the kernels. Grease hands with butter. Firmly press coated popcorn into balls. Lay balls on waxed paper until cool. If the balls will be stored, wrap in waxed paper. I used some alfalfa honey that I got at an Amish market to make these balls—but any honey will work. I love the flavor of the light alfalfa honey, but think it would also be fun to experiment and make them again with a darker honey. Maybe next week. . . .
Posted on January 29, 2012 August 30, 2015 by SherylPosted in About Diary, Food, recipesTagged popcorn.